Almost a year ago, I’ve written “How to add inquiry tab to your product in woocommerce using contact form 7“. It got a lot of attention and a lot were downloading the free version of WooCommerce WooRei Easy Tab. 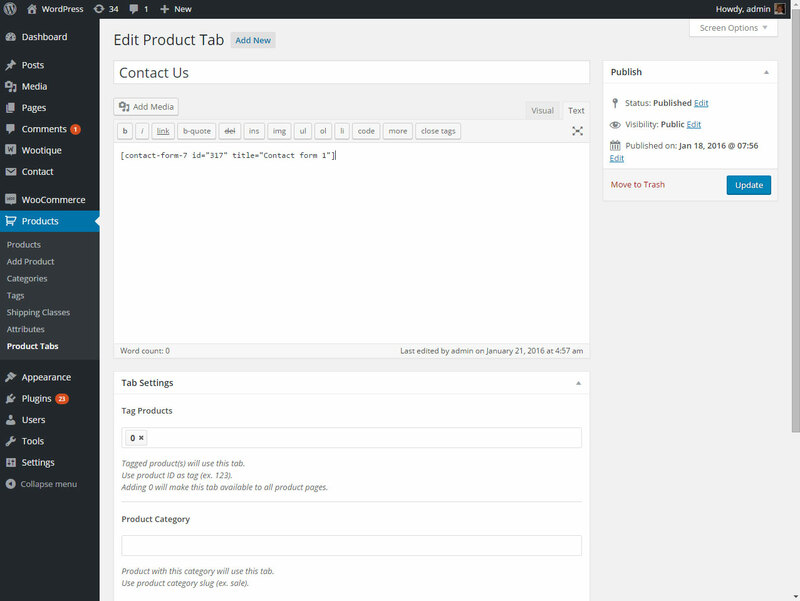 WooCommerce WooRei Easy Tab is a plugin that you can use to turn any shortcodes into a WooCommerce Product page tabs. It was great on making Contact Form 7 shortcode into a custom tab. 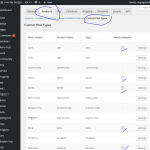 While WooCommerce WooRei Easy Tab did great on it’s job, there was some difficulty adding a single custom tab to quite a few number of product page. Much more if you are planning to add that single custom tab to all your 1000+ product page. This is where I thought I have to make something more powerful than WooCommerce WooRei Easy Tab. 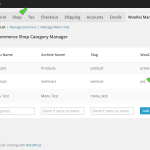 Introducing, WooCommerce Product Tabs Manager. Ability to add custom tabs. Custom tabs can be global or specific product page. Custom tabs can be assigned to product page in 2 ways. specific product page, using product id. product pages based on category, using product category slug. Custom tabs can be arranged according to your needs. Custom tabs can display shortcodes or HTML content. 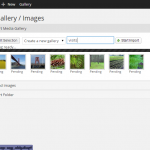 Custom tabs has the ability to add password protected content. Custom tabs can be enabled or disabled. Custom tabs can be set to display for logged in users only. With this plugin, adding Contact Form 7 as custom tab will be so easy. You just have to create a new Product tab. See screenshot below. 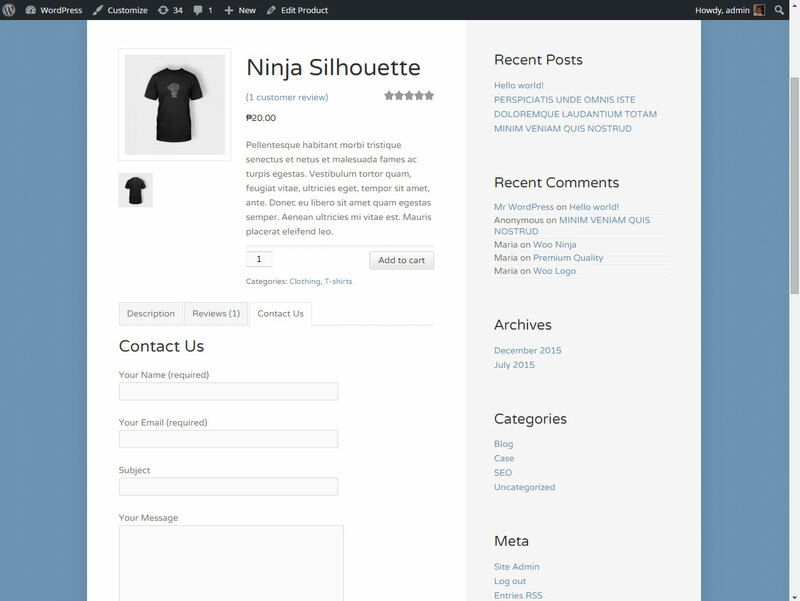 Creating “Contact Us” product page tab with Contact Form 7 shortcode as content. Set the Tab Settings as you see fit. Hit Publish, then boom! You have a custom tab that you badly needed. See screenshot below. 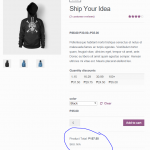 Showing how “Contact Us” is displayed on product page. While we’re at it, consider reading these special tags of Contact Form 7. This will help you a lot regarding your contact form. Like if you want to know which page the contact form was used to send the email, [_post_title] will display the title of the page. Add it to your contact form mail option. [_remote_ip] This tag will be replaced by the sender’s client IP address. [_user_agent] This tag will be replaced by the sender’s user agent information. [_url] This tag will be replaced by the URL of the contact form. [_date] This tag will be replaced by the date of the submission. [_time] This tag will be replaced by the time of the submission. [_post_id] This tag will be replaced by the ID of the post which contains the contact form. [_post_name] This tag will be replaced by the name (slug) of the post which contains the contact form. [_post_title] This tag will be replaced by the title of the post which contains the contact form. 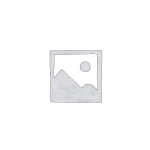 [_post_url] This tag will be replaced by the permalink of the post which contains the contact form. [_post_author] This tag will be replaced by the author name of the post which contains the contact form. [_post_author_email] This tag will be replaced by the author email of the post which contains the contact form. WooCommerce using contact form 7 as an Inquiry Form tab.